We now have pictures from this years fest online for your viewing pleasure! DeVon and I would like to give our sincerest thanks to everyone who took the time and expense to come to this years fest! Every year it feels like we just grow our family! This years fest couldn't have been more perfect, from the weather to the people and even the sound was exquisite! Wish I could have been there! Are those GPA 604s? How do they compare to RL 3s? How much do they have into the pair? Was the WO32 also playing? Who brought them? I still love my RL 3s, but always wondered what the 604s would sound like with my Zen Selects!!! Decware SE84CS X 2 (CCE-mod); Decware RL-3s; Decware Interconnect cables; ZenStyx speaker cables; Stax CA-Z Preamp; Stax SR-X Mk III Earspeakers; Pro-ject 2.9 Wood TT; Soundsmith SMMC2 Cart. ; JBL Sig. 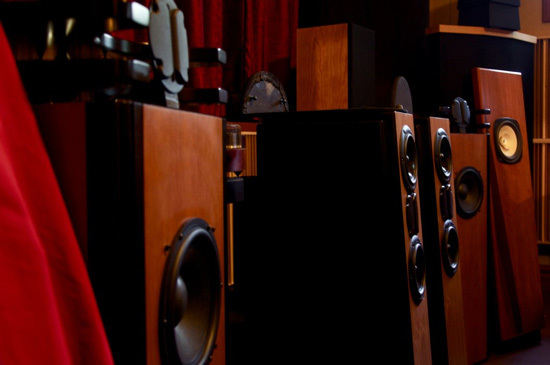 Series Loudspeakers(vintage, '70); etc. They are the 604-8H-III's which have a different horn than the rest of the 604's They are somewhere between the vintage sound of the 604's and the best of the best horns out there. Really a sweet speaker. Even though the tout excellent imaging, which comparing them to any previous version I had heard, the III's out image them all. They will not out image your RL-3's....thats just a fact!!! The WO-32 was only used as a platform to set gear on, probably would have been counter intuitive to use it with gear setting on top. 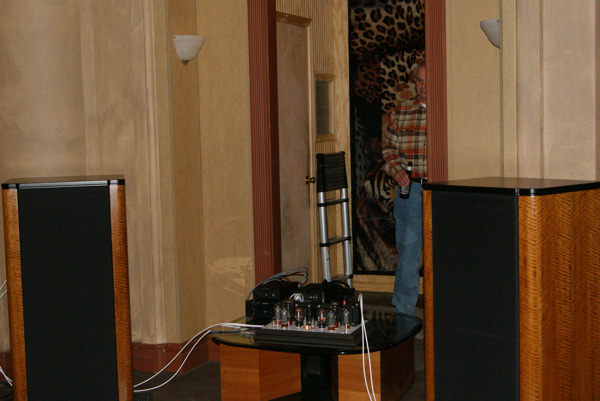 Considering the original Altec cabinets were junk from an audiophile standpoint, you would be relatively shocked at the improvement that a $4500.00 pair of cabinets can make! Two Thumbs up on this beautiful pair of speakers. 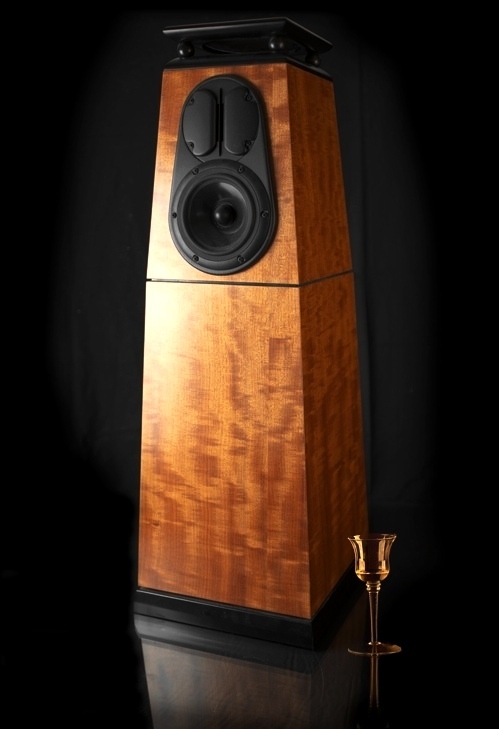 Drivers are $2000.00 for the pair and this well thought out design is simply stunning to listen to. These are ready to ship to the first buyer... without the wait. $6500.00 and the shipping is free anywhere in the continental US. No 30 day trial, no returns, no further discounts. So those are the huge beasts Bob was working on, finally shown. They look incredible. Steve, no video/audio recording from the fest? Thanks to DeVon and Steve for hosting a really nice festival. Glad I finally made it down and I hope to be a regular at the Fest. I enjoyed talking to a lot of the attendees, and listening to some really nice music on some great gear. It was really good to see a lot of old friends again and make some new ones. Because of the side effects of the radiation treatments I underwent two years ago, my dietary options are somewhat limited ..... but the "lovely chefs of DecFest" made sure that I was well nourished during the event. My sincerest thanks for their over the top efforts. There are no words that can properly express my gratitude and affection. The turnout was very good ..... even on Friday. The music and sound was good with some interesting new equipment, and Steve's corner horns were making the best sound by far that I have heard from them. The radials are my pick for speakers at this year's fest. The tweaking done in the current edition produces a very nice sound stage. I also like the corner horns. Nothing compares to the way a pair of quality horns load a room. The Mini Tori in combination made some great sounds. You owe it to yourself to make a Zenfest. Hang out with a friendly bunch of people who love listening to music as much as you do. Make some new friends. Have a few beers. Eat great snacks. And much more. Thanks again to everybody there. Steve: Thanks for posting the pics! It's a bit of a journey from B.C. to Peoria, hopefully, some year! The event looks 1st. class, in keeping with the hardware---! Had a great time. Missed my friend Dave. Checkbook is four figures lighter. Finished off with skydiving participants. All my pictures were a complete failier. No, I didn't record or broadcast it this year, however, I am planning to next year and will be advertising the fest much earlier to promote it. Great slideshow anyway. Much more than previous Decfests. What about the "super radial driver"? Was it available at the show? Yes, it was shown all three days at various points. It sounded good accept for one issue with a slight smearing of the bass. This caught me off guard because the bass had been the most impressive part - super fast. Faster than any other speaker I have. We had a lot of other speakers in the room at the time and it seems that they sympathetically resonate but because they are slower, it smeared the bass. This was not noticeable on all the other speakers because they were all slower to begin with so the resonance of the speakers setting around the room did not cause the same issue. I found this out after everyone left. Glad to hear everyone had a great time and the 'fest went well. SO SAD I wasn't able to make it back this year, but I will definitely be trying harder next year. Would have liked to have seen everyone again. i wanted to join in the festivus!!! i was counting inventory for my companies year end!!! i just found your website and amazing gear this year and hope to be part of the DECWARE family by x-mas this year! this pic's from the fest are AWSOME!!!! All i want for x-mas is an Original Zen 2W SET and a matching White ZDAC-1!!!! !